Kitchen, the most important room for every home makers since this is the room they spend most of the time. When it come to renovation or any other work in kitchen ,Every home maker gets curious about time taken to complete the given job. 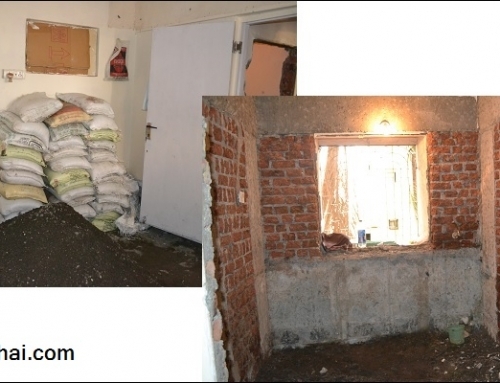 It usually takes 15-20 days time to renovate basic kitchen to a Modular Kitchen or Semi-modular kitchen. Firstly let’s understand what is the difference between Modular and Semi modular kicthen. 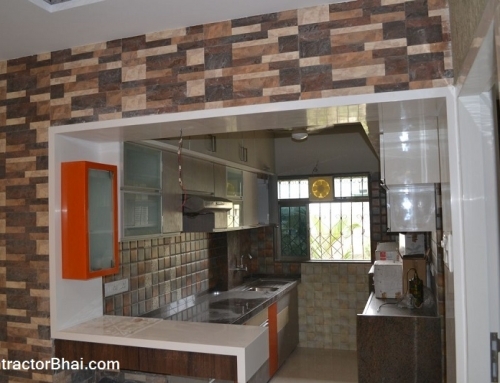 Well technically there is difference in Modular Kitchen & Semi Modular Kitchen. With Modular Kitchen home owners can dismantle whole Kitchen, move it to a new apartment & Fix it again. It is that simple. Whereas with Semi Modular Kitchen one cannot dismantle the entire setup. Semi-Modular kicthen is where platform or counter-top is provided by builder. Here the trolleys and cabinets are made as per the distance between the flooring and the counter-top. 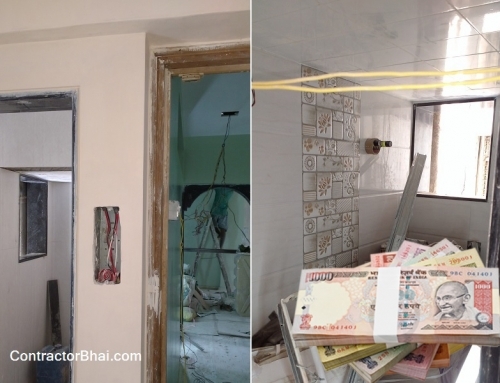 Even the overhead cabinets are made as per the overhead wall provided. But whether be it a Modular or Semi-modular kitchen, Remodelling will take 20 days time. This includes floor work to tile work to taking measurements for modular kitchen, making, delivery to assembling the modular kitchen structure. Here communication between us i.e a Contractor or Interior Designer and Modular Kitchen makers plays a crucial role. One day delay in communication can delay entire kitchen renovation. The most important section in Semi-Modular Kitchen is the the below counter-top part. The size and design of trolleys and cabinets below counter-top majorly depends style and distance of counter-top from flooring. Overhead Cabinets usually are of standard size. The makers or dealers of Modular kitchen are called for on 5th day after contractors or civil work commences to take measurements. Rest of kitchen renovation work i.e. Wall tiling work, flooring work and all Electrician work is completed within 15 days time. Civil work and Electrician work is done at the same time. 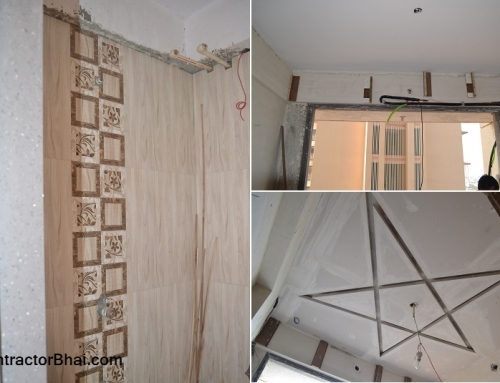 After which false ceiling or ceiling work and window work is undertaken. 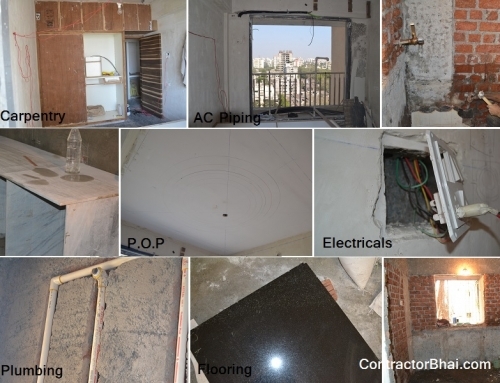 Once ceiling is ready, tiling and flooring work begins, after which the kitchen is handed over to Modular kitchen dealer. Usually 5 days is given for Modular kitchen setup. Modular kitchen assembly takes 2 days but 3 days are kept as spare for any changes to be done due to Modular kitchen setup. 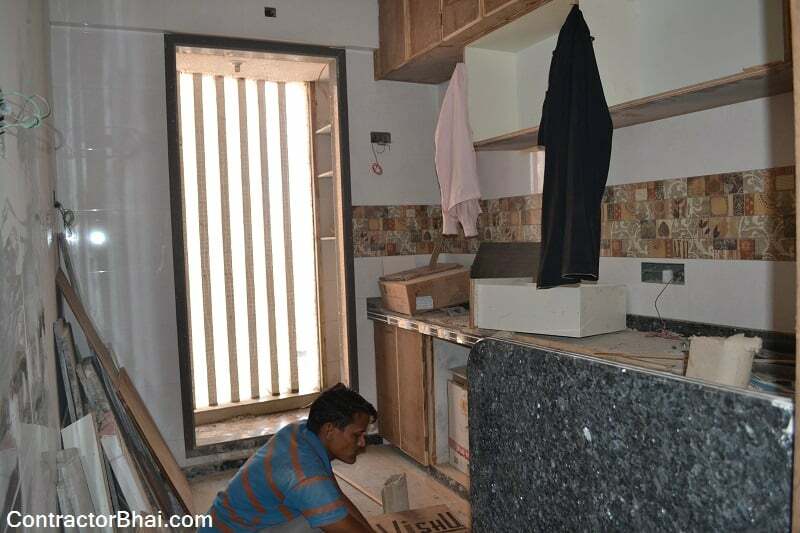 Whereas to renovate a basic kitchen to Semi-modular kitchen, job can be completed in 12-15 days time.